Born and raised in Nelson on New Zealand's South Island, Drummond captained the Nelson College First XV before shifting south to Canterbury in 2013. After being involved in several development squads in the early part of the year, Drummond was named in Canterbury's 2013 ITM Cup team where he largely served as back-up to the more experienced Andy Ellis and Willi Heinz. He caught the eye of the Crusaders coaching staff and was handed a Super Rugby contract ahead of the 2014 season and became more of a regular in the 2015 Super Rugby campaign, serving as back up to Andy Ellis, he played 15 times, including seven starts and scored two tries as the Crusaders finished in 7th place, just outside the play off places. In the 2016 Super Rugby season, Drummond scored an impressive 4 tries in 13 games of which he started 5 as the Crusaders reached the competition's quarter-finals. 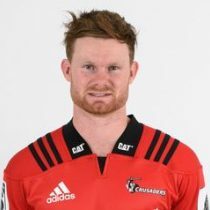 Drummond shared the starting scrum half duties with Bryn Hall during the 2017 Super Rugby season as the Crusaders secured the Super Rugby title for the 8th time. He made 16 appearances scoring 5 tries and came off the bench against the British and Irish Lions. Drummond was in fine form for Canterbury as they made the Mitre 10 Cup Premiership final and earned his call-up as one of 5 additional players in the All Blacks touring squad, meaning he will be available for selection against the Barbarians and will return to the squad for the French leg of the tour. Drummond has made 45 appearances ahead of the 2018 Super Rugby season scoring 11 tries. Mitch brought consistent form through from Super Rugby to the Mitre 10 Cup season with Canterbury.